LEDGER - Decentralized Data Governance for the Next Generation Internet - is a project funded by the European Commission (GA 825268 - http://ledgerproject.eu/). Between 2019 and 2021, the LEDGER project has the mandate to distribute financial support to third parties in a cascade funding framework named Venture Builder Programme. The mission is to eliminate concentration of data in a few proprietary platforms by accelerating 32 bottom-up experiments on human centric values such as privacy-by-design, reliability, trustworthiness and openness. Experiments, which need to have a solid research background, will result in Minimum Viable Products spanning into 6 verticals: Health, Economy, Mobility, Public Services, Energy & Sustainability plus one open to other topics and named Open Innovation. LEDGER’s Strategy Research and Innovation (SRI) Work Programme is a document prepared to guide the composition of applications that will be submitted within the two Open Calls of the LEDGER project. It contains an Introduction, the description of the 6 vertical cluster domains and two Annexes on Participants and Criteria, respectively. An update to this document is expected at M14 (December 2019) in order to reflect feedback provided by LEDGER’s consortium partners, LEDGER Advisory Board members and participants to the first Open Call. The goal of the update is to fine-tune programme delivery and implementation during the project as to offer the most cogent formula to attract proficient applicants and generate the highest possible positive impact in the field of digital social innovation, citizen awareness and entrepreneurship, especially when oriented to create measurable social impact. The European Union has the unique opportunity to testbed innovation that is truly driven by societal needs and puts people before profit. Accordingly, topics within the SRI Work Programme clearly align with the Commission’s priorities on the Next Generation Internet, whose overall mission is to re-imagine and re- engineer the Internet for the third millennium and beyond. The goal is to enable human potential, mobility and creativity at the largest possible scale – while dealing responsibly with our natural resources (https://ngi.eu/). Solutions for distributed trust, applied cryptography, large scale decentralization with data integrity are the core elements of the European Commission’s policy for decentralized data governance. Alignment is also focused on the United Nations agenda for the Sustainable Development Goals1. Within the evolution of the Next Generation Internet initiative promoted by the European Commission, LEDGER’s Strategic Research and Innovation (SRI) Work Programme has the ambition to ensure technological, algorithmic and data sovereignty for European citizens and consumers. The current economic models on the Internet structurally funnel profits to few dominant players by mining, brokering and selling personal data such as shopping habits, browsing history, location data, political affiliations, demographics, and so on. Hence, treating data as a form of capital means that firms hoard, commodify, and monetize as much data as they can. There is an evident necessity to address issues that are not solely technical, but also of social and economic nature and are interconnected to the way innovation unfolds both in the public and private sectors. The goal of the SRI Work Programme is to successfully design and implement Open Calls to fund decentralized data governance systems and business models that preserve and enhance citizens and consumers digital sovereignty. The technological stack should leverage solutions at the intersection of Distributed Ledger Technologies (e.g. Blockchain), Peer to Peer (P2P), Artificial Intelligence (AI), Internet of Things (IoT), Immersive Media and new connective infrastructures as 5G. 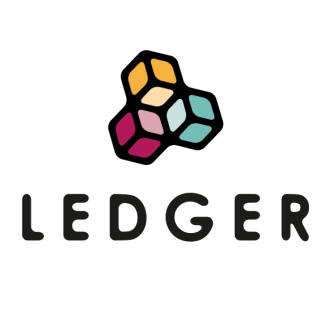 With two Open Calls for the distribution of cascade funding, LEDGER will promote alternative business models able to bring together civil society, public authorities, academics and investors communities to put citizens and consumers back in control of their data. Consequently, LEDGER implements a rationale that will select human-centric vertical use cases to test the market traction of novel business models promoting digital sovereignty through the implementation of 32 MVPs. The following sections define the verticals topics to be addressed by the applicants to the LEDGER Open Calls. Specific expected outcomes in the verticals are interoperability and backward compatibility across use cases together with a general strong emphasis on building solutions to concrete problems and according to decentralization principles. Secondly, the requirement for large scale impact in real-life scenarios. Third, radical innovation should be balanced with a realistic business validation and sustainability of MVPs beyond the span of the project. The focus will be on advanced and applied research that is linked to relevant use cases and that can be brought quickly to the market; apps and services that innovate without a research component are not covered by this model. In particular, proposals shall contain a specification for the outcome of the project and criteria for success. They will include an explanation of how the results of the supported project are to be commercialised and of what kind of impact is expected. The expected impacts should be clearly described in qualitative and quantitative terms. Market uptake and distribution of innovations shall tackle the specific challenges in a sustainable way. Finally, applicants shall commit to generate Open Knowledge as result of their projects in the shape of “free software”, “free hardware” and “OpenAccess” accordingly with the nature of the result, being software, hardware of other intangible piece of knowledge (i.e. research paper). Article 1 of the Alma-Ata Declaration published by the World Health Organization defines health as a state of complete physical, mental and social wellbeing, and not merely the absence of disease or infirmity. Because of the diffusion of wearables and mobile apps, operators’ datasets are expanding due to genomic and patient-generated data. Moreover, there is a convergence of medical data coupled with an increasing quantity of non-medical and healthy lifestyle related data. This will offer new opportunities in terms of operators’ engagement and patient self-management. In particular, the goal is to create socio-economic models that enable health care providers to shift from medical treatments and nursing to promoting health and well-being thanks to preventive, digital health solutions. As a result, new challenges are affecting this vertical: first, the paradox of a data-rich but information-poor health sector creates an environment, whereby data increasingly available cannot be properly leveraged to help providers advice patients. Secondly, it is very difficult to mobilize data because of both technical shortcomings and regulatory constraints. In this context, centralized health data management is prone to vulnerability, high transaction costs and the inability to provide integration and interoperability, in order to offer a tailor-made care services ecosystem to meet the needs of the patient. In particular, such data is exploited in terms of consumer profiling primarily for personalized advertising and risk assessment for insurance and pharmaceutical companies. Proposals should introduce solutions to leverage patient-generated health data in a decentralized way for either research or commercial purposes. In turn, proposals should lead to a measurable improvement of the life conditions and well being of patients managing the risks associated to the introduction of new technologies for daily monitoring, exercise promotion, prevention of social isolation and emergency trigger. They should also promote decentralized data governance practices and tools to unlock the potential for stakeholders (patients, professionals, public servants, researchers, biomedical industries) to access data in a secure and dis-intermediated manner while preserving data integrity. Examples for this vertical vary from - but are not limited to: - free, open source software and hardware solutions to avoid technical debt and lock-down from a few multi-national corporate players - bio-lab initiatives focusing on health improvement, bridging the “maker culture” in this vertical - secure, privacy-aware, GDPR compliant data access, sharing and aggregation - pharmaceutical prescription drugs supply chain management - enhanced consent mechanisms - medical applications of the Internet of Things - active and assisted living. • To optimize individual and community self-reliance and participation in the planning, organization, operation and control of health care in concert with public and private providers of health services. • Minimum Viable Products contributing to boost digital health sovereignty, which would see public health as intimately bound up in how people create and replicate their communities, can leverage local knowledge, values, new technological opportunities and interconnections to better address emergent health issues. The financial services industry needs to better serve the real economy. In turn, there is an urgency for technological innovation aimed at simplifying the life of consumers and offering improved services by industry players. Too often, the latter increase profit margins by leveraging on conflicts of interest, management misbehavior and unaccountability, single points of trust and failure. Moreover, legacy software systems do not communicate easily among themselves in the name of business competition and this generates a lack of transparency at almost all levels and compartments: from the complexity of terms of services to a built-in discretion in the governance dynamics of the industry. In this context, market complexity, data leaks and threatened consumer rights require innovative solutions for the qualitative technical enhancement of digital railways to process financial transactions, operate spending reviews and apply regulations in a transparent and accountable way. Whereas the challenge in the financial services industry is to simplify business processes, for many recently-born P2P projects the challenge is to scale up while keeping their essence, transparency and accountability. Therefore, an effective regulation of the industry requires the endorsement of a new perspective and ideology based on digital commons when it comes to network neutrality in digital financial infrastructures. For instance, the need to structurally embed Corporate Social Responsibility frameworks within the value propositions of business models is emerging. Proposals should address new innovative forms of decentralized economic interaction among peers such as crowdfunding, P2P lending and e-participatory budgeting in the economic domain. They should aim at creating lean connection blocks between the needs of society, the drive of small-scale economies and the tools requested by the digital economy. Proposals should also favor disintermediation and standardization over appropriation and centralization in the data economy. Decentralized data governance solutions should be reproducible, even at a small scale in view to act globally to favor resilient and sustainable models on a larger economic scale. Finally, proposals should demonstrate the potentials and manage the risks of embedding governance structures within the rules of algorithmic protocols. Examples vary from - but are not limited to - facilitate the operation of platform cooperatives for accounting and regulatory compliance of their financial operations - overcome situations of scarce liquidity by means of complementary currencies and credit circuits - provide novel, qualitative ways of risk mitigation to support the growing scenario of social entrepreneurship - design decentralized free and open source software architectures and components to ease access to circuits such as SWIFT, PSD2 and SEPA - lower transaction costs to facilitate micro- financing - facilitate secure information and value exchange - crowd-sourced monitoring of financial speculation. Another set of examples relates to consumer protection - ease the activity of customs, VAT reporting to simplify fiscal policy enforcement - the structural prevention of financial crime, fraud, KYC-AML, and corruption, especially by high level industry players, through innovation in the implementation of automated digital contracts. The facilitation of experimentation on MVPs to improve the operations the financial services industry in a decentralized framework at the service of the real economy. Structural adoption of dis-intermediated solutions for customers and industry operators. Solutions should enhance technological, algorithmic and data sovereignty at the level of technical innovations and governance of power dynamics and value circulation in the industry. The vision for LEDGER Open Calls in the vertical of Mobility looks for new models to address societal and environmental challenges. Mobility is a vast sector of the economy that is under a huge transformation by virtue of fast innovation. Moreover, the current business model orbits around a centralized framework. New collaborative and mobility-as-a-service business models are generating new economic value in this industry. These new business models, however, are exploiting data supplied by drivers and customers engaged in collaborative platforms. It seems clear that the future of mobility will not depend on car manufacturers only but will also involve public transport operators, governments and citizens. The value chain is under restructuring impacted by new collaborative platforms and the availability of data to develop new business models. By leveraging innovations coming from ICT, the sector is moving towards a more open ecosystem. Proposals should aim at the design, implementation and deployment of models to build and pay for services on a decentralized and interoperable mobility ecosystem, for instance Mobility as a Service (MaaS). Proposals should apply their solutions in domains including urban planning and smart cities, automotive, public and private transport together with mixed mobility. These are fields that demand new technological innovations to foster decentralized mobility governance for algorithmic sovereignty. The goal in this vertical is to promote the creation of general frameworks, whereby mobility data is a digital commons and many different entities can join and build new sustainable business models. Proposal should also include solutions for smaller initiatives built around transport models as cycling, personal mobility transports and car-sharing that are well reproducible, small scale and resilient. With the goal to promote a new decentralized standard for mobility governance, examples vary from - but are not limited to: - implementing decentralized data governance for vehicles registration, tagging and tracking also without the use of traditional plates (especially in cross border scenarios) - drivers and riders data protection compliance - new models for distributed ownership of and insurance on vehicles - decentralized mobility network monitoring and maintenance - process and service management - decentralized analytics storage solutions - device management and security. Marginal utility gains through decentralization in logistic for supply chain management. This also includes the impact of logistics transport and the need for new models, especially in urban areas, where deliveries cause a tremendous impact in the day-to-day routines. Since the end of WWII, social services have been organized by endorsing the factory model resulting in a commodified model of citizenship. In order to innovate from the 20th century design mindset in this sphere, the public services sector in Europe needs to promote alternatives to the models advocated by extreme privatization of public services, facilities and utilities and a pervasive approach to citizens control. These models are threatening European technological and digital sovereignty. With very few exceptions, also public authorities suffer from a sovereignty deficit when it comes to technology, algorithms and data management as they rely mainly on proprietary solutions. This can put in danger the transparency of the public administration and create conflicts of interest, thus eroding European democratic values and cultural diversity. As a result, challenges in the public services sector vary from the inherent complexity to execute procurement, to concretely and sustainably upscale innovative services, or still to create algorithms that are reusable in different circumstances and adaptable to different needs in different cities. All these, and related challenges are currently an obstacle for promoting decentralization and governance dynamics where citizens self-manage themselves. In addition, the challenges of common usage of data between different sectors and silos prevent offering good data-based digital services. Proposals should include the design of solutions that make life easier for citizens while civil servants should be seen as early adopters in order to streamline bureaucratic and procurement processes while increasing transparency. Value should be ingrained in adaptable technologies, accounting for self-sovereignty, interoperability and modularity for services such as taxation, education, public funding distribution and the management of the public administration. This holds especially for small municipalities and for the civil servants working in public offices, which usually cannot count on many resources to serve the citizenry, e.g. for more agile certification processing and the management of public utilities. Proposals should aim at the creation of interoperable public services that put citizens back in control of their data. Moreover, citizens should be able to verify the integrity of the algorithms they use and co-create new requirements. Examples vary from - but are not limited to: - simulation environments such as virtual-twin cities - remote participation to public deliberations - new models for public private partnerships in which solutions are implemented in open and cooperative structures - the promotion of self-sufficiency in food provision - low carbon footprint in public transportation - decentralized, transparent accountability and auditing - decentralized and e-participatory budgeting in the public domain. Impact for this vertical will be measured firstly in terms of relevance, adaptability and sustainability of locally maintained solutions. MVPs will enhance transparent co-creation and direct participation of citizens. services as they are the early adopters of the solutions that they in turn deliver to citizens. Qualitative increase in adaptive regulation for institutionalising innovative and more cost- effective ways to deliver public services. Creation of awareness in a relevant and granular way for citizens: the latter do not have to know everything that is happening in their communities, but they should be informed about what they deem important. In this way, public administrations would enable and encourage citizens horizontal self-organization and self-sustainability. The goal is to address societal challenges from the bottom up and in a decentralized governance civic environment, whereby software serves the interests of all participants. The energy sector is dominated by legacy, public-private national energy distribution companies where energy infrastructures and business models are centralized. Producers drain data and value from consumers on the main AC-Grid still relying on fossil fuels and an obsolete proprietary distribution system. More recently, Energy Service Companies (ESCOs) have been offering clean energy sources to their customers on centralized platforms. This demands the offer of more opportunities to satisfy their energy requirements from more environmental friendly energy sources. The producers and consumers of renewable energy (the prosumers) are the same passive actors that produce energy and simply give it back to the main grid which in turn increases its profits by leveraging Big Data related to users. In this evolving context, the decentralized production and exchange of clean energy for the prosumer economy is still at its dawn and very dependent on government subsidies. Moreover, challenges in this vertical regard also the need to build solutions that are sustainable in themselves such as environmental friendly such as carbon negative distributed ledger technologies. Proposals should promote sustainable decentralized data and business modelling for digital sovereignty in this vertical. The goal is to enable the process of collecting and distributing energy and related data as a common accessible for everyone to meet basic needs and reduce dependency from dominant industry actors. Proposals should also tackle issues such as carbon footprint reduction and ocean pollution, alternative food production, tagging and food chain management systems, the creation and distribution of new and less-pollutant materials or the re-use and recycling of existing materials. Proposals should encourage consumer CleanTech solutions that reward virtuous behavior possible through decentralized and open energy consumption data management. In this vertical, examples vary from - but are not limited to: - the production of open source software and hardware solutions to create MVPs for decentralized renewable energy production - accumulation and exchange systems in segments such as geothermal, wave, wind, solar photovoltaic and biomass processing systems - passive and active housing – management systems for less pollutant food production - implementation of distributed micro-grid ownership, operation and dividend distribution models – creation and distribution models of new materials – decentralized models for re-use and recycling - decentralized billing and renewable energy production and accounting systems in privacy-by-design and secure environments - smart metering - multi- purpose batteries for in the context of the Internet of Things - decentralized platforms for the management of carbon credits and other energy related assets. Increasing the efficiency and savings opportunities of the consumers acquiring energy from traditional sources while accounting for social and environmental costs. Fostering a more cooperative, sustainable and resilient decentralized model for natural resources management, based on consumers’ co-investment into collectively owned micro-grids, and business models rewarding not only traditional actors but also prosumers. The previous verticals related to challenges that impact individuals in a human-centric way. From health to the economy, from mobility to energy and public services, all the challenges reviewed above are specific to various aspects of decentralized technological, algorithmic and data governance on citizens and consumers lives. However, they are not exhaustive as there are further societal challenges that need to be addressed while it is not possible to analyze them one by one in this document. The main challenge in this case is to provide support to best Internet innovators in order to include within LEDGER's SRI Work Programme human centric solutions to address as many societal problems as possible. Thus, this vertical will offer a space for internet innovators who will be able to submit proposals in areas not included in the five vertical clusters described above. Accordingly, the focus will be on teams proposing innovative ICT concepts, products and services applying new sets of rules, values and models which ultimately create new markets or disrupt existing markets with two objectives: support prototyping, validation and demonstration in real world conditions; and help for wider deployment or market uptake. The overarching goal is to build new Internet applications / services, business models and innovation processes strengthening the position of European ICT industry by tackling ethical, legal and privacy issues, as well as to the concepts of autonomy, data sovereignty and ownership, values and regulations. Proposals should submit unique solutions in areas and for topics residing outside the scope of the previous five verticals while endorsing the general ethos of the LEDGER project as described in the first section of this document. Proposals are also encouraged to endorse a cross-cutting approach within LEDGER verticals framework. Multi-disciplinary approaches are encouraged when relevant. Beyond research, activities should be focused on validation and testing of market traction with minimum viable products and services, of new economic and social models by involving users and market actors at an early stage. They could be designed in order to complement one or more aspects related to the other five verticals. The common element for applications to this vertical is the focus on the human-centric nature of the solutions. Examples vary from - but are not limited to building decentralized data governance tools to: address issues such as gender equality and make both private and public institutions accountable at all levels – address the urgent migration crisis in the South of Europe - improve the quality of education of European citizens and residents – include arts and humanities in the tech discourse - enhance cyber-security levels of citizens and consumers - fostering both local and global partnerships for sustainable development - build impact measurement tools to track the progress of decentralized data governance within the next generation internet framework. Another set of examples relates to solutions developed to address challenges related to the Internet of Things or that address issues such as supply chain management and tracking systems - decentralized data governance systems to manage both material and immaterial commons, data commons/trust models, PropTech, online identity and reputation and referral systems. • Contributing to address topics related to Sustainable Development Goals not addressed in the other verticals. • Strengthening and diversifying the offer of the LEDGER ecosystem of tools for decentralized data governance. • Contribute to the diffusion of solutions that are not contemplated in the five verticals analyzed in previous sections of the LEDGER SRI Work Programme.